The Tampa Cruise Terminal is a major departure point for cruises to the Western Caribbean and Mexico. It is conveniently located in downtown Tampa Florida. The Tampa Cruise Port is one of four very large cruise ports in the state of Florida. The Tampa International Airport is located five miles north west of the Port of Tampa. Direct flights are available to TPA from cities in Canada, America and Europe. Visit the Tampa Airport website for current flight arrival and departure information. Due to its convenient location in downtown Tampa, most passengers will not require a shuttle. Some of the major Tampa hotels do provide shuttle service, however. A historic streetcar system connects the Tampa Cruise Port to Ybor city and to the Tampa Conference Centre. Bus service is also available. Tampa is a popular vacation destination, particularly during the winter months. 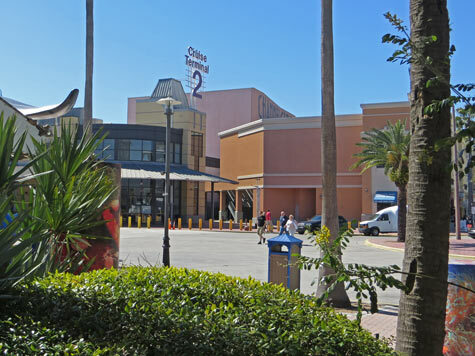 Top attractions include Busch Gardens, the Florida Aquarium and the Tampa River Walk. The Gulf of Mexico beaches at Clearwater and St. Petersburg are also popular holiday destinations. The mobile-friendly Tampa Bay Vacation Guide provides comprehensive visitor information. The city of Orlando is located just 70 miles east of Tampa. It is home to several world-class theme parks including Walt Disney World, Universal Orlando and Seaworld Orlando. Visit the Orlando Tourist Information and Vacation Guide for more information. View map of the Tampa Cruise Port. Note: It is located next to the Florida Aquarium. Free WiFi service is available at all McDonalds Restaurants in Tampa Florida.